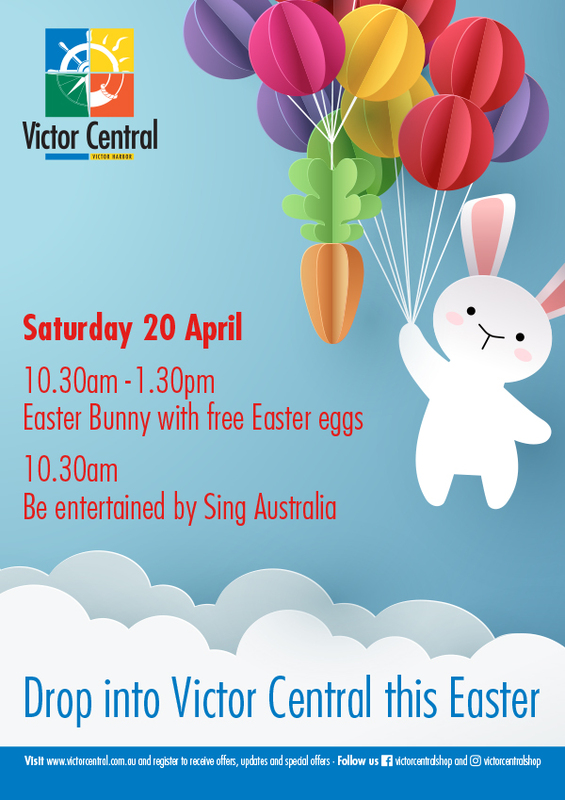 Located in the heart of Victor Harbor, Victor Central has plenty to offer including everything from fresh food and entertainment, gifts and homewares to sporting goods and fashion for the whole family. Whilst you are shopping you will be able to enjoy a coffee or a bite to eat at one of the cafe's conveniently located throughout the mall. Shopping is always easy at Victor Central with a large variety of retail on offer and plenty of free convenient car parking! Plus if you would like to receive regular Centre updates about retailers, school holidays and other Centre events be sure to sign up with us! 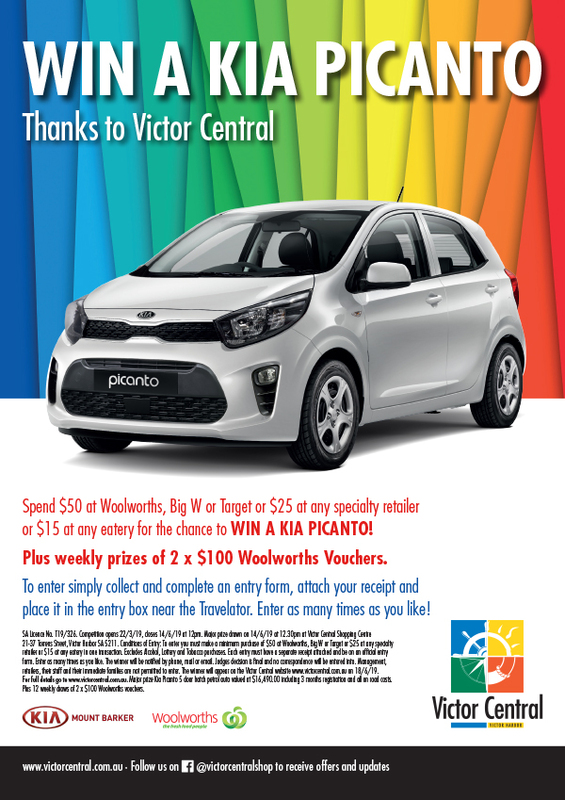 Fancy taking home a new Kia Picanto?